Indiana Voter Weighs In On Trump! This year it looks like my vote will matter more than usual. Following Trump's big five state win last Tuesday we are beginning to see a change in the attitudes of some the political pundits and naysayers that have been in a tither over Trump. It is now clear he is not a fad. 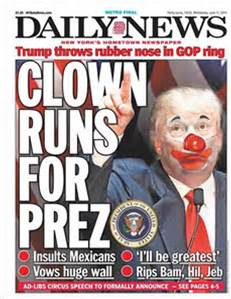 The truth is Trump is now solidly positioned to be ordained the Presidential nominee of the Republican party. A Wall Street Journal headline that caught my attention stating "Trump Must Start to Provide Specific Plans" to prove he has substance. Another stated that if Republicans want to win they should reconsider their Trump embrace or they will be diving into "who-knows-what”. A piece in Market Watch reported that Obama does not think Trump will be President sighting his "faith" in the American people to understand this it is a serious job. This is a sample of opinions and politics today. The barrage is endless and the line of those loading on to discredit and undermine Trump is long. Mainstream media and Politicians have made it clear that once the American people become "better educated and understand" they will reject this man. As far as the issue of a candidate providing "specific plans" since when and why would that be important? While people often say they want specifics it seems that more often than not it is so they can use them to tear the proposal apart. Seldom if ever do we see any of these ideas or plans adopted as proposed. Washington has a remarkable ability to turn something simple and clear into a complicated 2,000 page monster of loopholes and switchbacks that serve the lobbyist and elite. The sad reality is specifics don't matter and vision trumps promises. Is Trump smart? One thing is clear and that is he has skills, he has negotiated his way to the front of this race. One message being made clear during this primary season is that it would be wise not to underestimate the growing discontent and angst of the American people. Exit polls from recent primary voters confirm a high degree of dissatisfaction or downright anger. Politicians are not held in high regard. If you want to know how America views Washington you only need to watch an episode or two of the popular Netflix TV series, House Of Cards. Politics is a snake pit where lies and misdirection run wild and an election is one of the few forums where people can make their anger heard. On February 17th a new Wall Street Journal/NBC News poll conducted after a combative debate performance claims that support for Donald Trump among Republicans has declined in leaving him slightly behind Sen. Ted Cruz in the race for GOP presidential nominee. Trump has since battled back and whether the polls were wrong or voters taking a second look at Cruz simply rejected him is a matter of opinion. 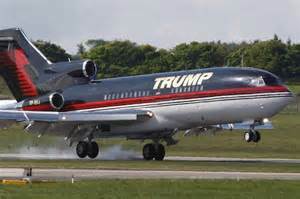 As the field of candidates has narrowed to three from seventeen the voters seem to be lining up behind Trump. If nothing else we have to admit the man is entertaining. Following his win in South Carolina, the New York businessman bashed both the poll and the paper saying the pollster should be fired. While far from the perfect candidate, Trump as a choice for the highest office does carry with it many interesting aspects. 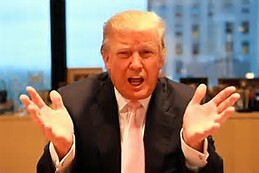 Having a bit of money in his own right Trump has alleged he need not steal or prostitute himself out to special interest. In all honesty, if Trump is elected he has more to lose in prestige if he performs poorly than anyone else currently running, I only wish all politicians were so motivated. Past polls showed that if the primary had come down to a head-to-head choice, both Cruz and Sen. Marco Rubio could beat Trump by double-digit margins. 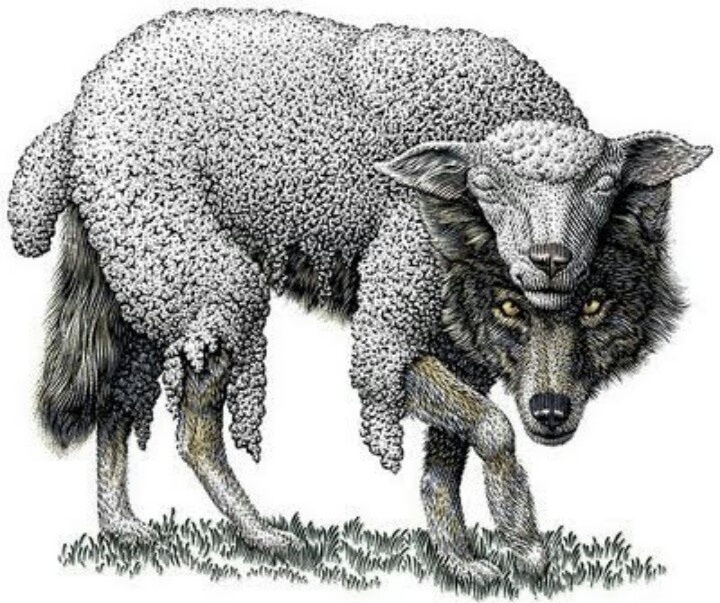 To some voters, all this Trump bashing was interpreted and reeked of the media and establishment politicians again trying to control who is eventually elected. Visions of prior races quickly come to mind and with the memories a picture of a powerful media that makes or breaks a candidate at will. Leading up to 2000 Bush was heralded as a smart capable leader. More recently most of us remember how Obama was portrayed as someone capable of healing the nation and bringing about change, he was the force that would bring us together and get a dysfunctional Washington back on track. Ironically, by the time this primary was in full swing, it is no longer a compliment for Marco Rubio to be dubbed by some as Obama 2.0, a reference to his skills to bedazzle us with a clean reasoned message. During the last Presidential election, we all remember how Mitt Romney was ridiculed for stating in a closed door meeting the simple truth, "There are 47% of the people who will vote for the president no matter what ... who are dependent upon government, who believe that they are victims. ... These are people who pay no income tax. ... and so my job is not to worry about those people. I'll never convince them that they should take personal responsibility and care for their lives." Romney spoke the truth but offended those demanding we be politically correct, but it is important to remember politics makes strange bedfellows and Trumps proven record of negotiating skills should be able to exploit this. Note the irony that both Trump and Sanders are against the recent trade deal and see it as exporting jobs to distant lands, many Americans would love to see a situation develop where something gets done with both parties working together. The path before Trump is still long and even if polls show he has large dis-favorable ratings most likely he will be running against the person he has dubbed "crooked Hillary" who is equally disliked. Race and gender will play a role in this election, but they always do, but many working Democrats and swing voters have indicated we are on the wrong path. Trump has run a campaign spending far less than his competition and it speaks volumes as to how he would run the government and cut waste. Trump understands America must have a strong economy to remain a world power, Hillary does not. Expect a great deal of effort will be made to portray Trump as unstable or dangerous and as a man who cannot be trusted with control of America's nuclear arsenal, however, we should remember Trump has far more to lose by unleashing these forces than the average American. The truth is rich people do not like to blow up their own property, meaning nuclear war would cost him plenty. Between these two flawed candidates, I as an Indiana voter choose Trump. On occasion over the years like many people I have considered running for public office because of my frustration with how poorly government functions and the outright corruption or should we say crony capitalism that has flourished. It may be that I'm simply too busy or that looming in my mind are images that I would never pass the litmus test of pandering and political correctness, also I would not do well in an environment where I would have to deal with all the clowns we have placed in public office. The fact is I like responsible, self-reliant, people and find it difficult to pander to those who constantly ask for more and more help. Bottom-line is that whatever we do "it ain't enough" to fill the needs of those wanting more. Footnote; This is not a full fledged endorsement or a declaration of love for Donald Trump, but rather the solid recognition that he would not be the most illogical choice American voters have ever made. Footnote #2; A similar version of this article ran on February 24th under the title, "Trump Must Start To Provide Specific Plans, Or Should He?" We should not wait until someone is gone to salute them in tribute. Life is finite and at some point, we should acknowledge we are nearing the end. An older lady often told me "she no longer bought green bananas" as a way of saying she recognized this truth. In that spirit, I'm writing about a person born in 1928 that while viewed by many economists as America’s foremost expert in monetary policy is little known by the masses. This is not my first piece on Allen Meltzer in the middle of 2013 I wrote "It Will All End Badly" where I stated that what I like about numbers is that when they are not jockeyed, jerked around, and falsified they tend to tell the truth. People have been forced into riskier assets because of low-interest rates.When interest rates rise, as they will at some point, the value of these risky investments will decline, and these investors will be hurt. Making things worse is the fact that interest payments on the public debt will rise increasing the budget deficit which has grown massively in past years. It is clear that prices in some sectors of the economy have been rising rapidly and major distortions exist within the marketplace. When the large "too big to fail" banks like Goldman and Bank of America report they made profits in the market on roughly 95% of trading days in 2012 we have to raise an eyebrow. This is an indication that the game is manipulated as no trader is that good. Even back in 2013, Meltzer had not been a fan of recent economic policy for some time, in a Wall Street Journal opinion piece on June 30, 2010, titled "Why Obamanomics Has Failed" Meltzer wrote about how uncertainty about future taxes and regulations was the biggest enemy facing future economic growth. He goes on to say that the administration's stimulus program has failed. Growth is slow and unemployment remains high. The president, his friends, and advisers talk endlessly about the circumstances they inherited as a way of avoiding responsibility. Two overreaching reasons explain the failure of Obamanomics. First, administration economists and their outside supporters neglected the longer-term costs and consequences of their actions. Second, the administration and Congress have through their deeds and words heightened uncertainty about the economic future. Meltzer went on to say that most of the earlier spending was a very short-term response to long-term problems. Part of the money financed temporary tax cuts, this was a mistake because it ignores the role of expectations in the economy. Economic theory predicts that temporary tax cuts have little effect on spending. Unless tax cuts are expected to last, consumers save the proceeds and pay down debt. Another large part of the stimulus went to relieve state and local governments of their budget deficits. Transferring a deficit from the state to the federal government changes very little. Some teachers and police got an additional year of employment, but their gain is temporary. Any benefits to them must be balanced against the negative effect of the increased public debt and the temporary nature of the transfer. Peter Schiff says, printing money is to the economy what taking drugs is to a drug addict. In the short term it makes the economy feel good, but in the long run, it is much worse off. What was once the "long run" or "distant future" may be getting very near. Soon the dollar and the American economy will be nearly dead. I recently reviewed a book I read years ago, in his book "A Time For Action" written in 1980 William Simon, a former Secretary of the Treasury tells how he was "frightened and angry". In short, he was sounding the trumpet about how he saw the country was heading down the wrong path. Looking back, it is hard to imagine how we have made it this long without addressing the concerns that Simon wrote about so many years ago. Back then it was about billions of dollars of debt, today it is about trillions of dollars. Fed Chairwoman Janet Yellen recently admitted that the central bank doesn't have a good model of inflation. It relies on the Phillips Curve, which charts what economist Alban William Phillips in the late 1950s saw as a tendency for inflation to rise when unemployment is low and to fall when unemployment is high. Two of the most successful Fed chairmen, Paul Volcker and Alan Greenspan, considered the Phillips Curve unreliable. The Fed's forecasts of inflation ignore Milton Friedman's dictum that "inflation is always and everywhere" a result of excessive money growth relative to the growth of real output. The Fed focuses far too much attention on distracting monthly and quarterly data while ignoring the longer-term effects of money growth. The country's present dilemma originated in 2008 when the Fed properly and forcefully prevented a collapse of the payments system. But long before idle reserves reached $2.5 trillion, the Fed didn't ask itself: What can we do by adding more reserves that banks cannot do by using their massive idle reserves? The fact that the reserves sat idle to earn one-quarter of a percent a year should have been a clear signal that banks didn't see demand to borrow by prudent borrowers. And some side effects of the Fed policies have had ugly consequences. One of the worst is that ultra-low interest rates induced retired citizens to take substantially greater risk than the bank CDs that many of them relied on in the past. Decisions of this kind end in tears. Another is the loss that bondholders cannot avoid when interest rates rise, as they have started to do. Ironically, despite often repeated demands for increased redistribution to favor middle- and lower-income groups, the policies pursued by the Obama administration and supported by the Federal Reserve have accomplished the opposite. When the president campaigns in the midterm election, he will talk about the relative gains by the 1%. Voters should recognize that goosing the stock market through very low interest rates, not to mention the subsidies and handouts to cronies, have contributed to that result. We are now left with the overhang. Inflation is in our future. Food prices are leading off, as they did in the mid-1960s before the "stagflation" of the 1970s. Other prices will follow. The point of this post is to make clear that just because we have muddled along putting band-aids on our economy does not mean that we have done anything but postpone the day of reckoning, and in many ways, we may have made it far worse. The time the Federal Reserve has bought for the country to come to terms with its many problems has been squandered at a great cost. While many people say the economy is getting better others like me who are involved in business on Main Street all across America say this is not true and that an ugly reality is only being masked by the easy money and deficit spending policies we have today. While it is difficult to time when certain events will unfold it is clear the direction we are moving in. Footnote; The link to my original article concerning Meltzer's thoughts on the economy we face was included in the first paragraph, however, it is also below. Some of the text in today's post was lifted from it, however, to those interested the original article went much further in pointing out the flaws in post-2008 policy and why it was destined to fail. On Sunday, March 27th, Meet The Press reported the Syrian army had re-taken the city of Palmyra from ISIS with the help of Russian support. Host of the show, Chuck Todd then went on to talk about how Baghdad and Brussels had suffered from suicide bombers. Later on, Face The Nation, Secretary of State, John Kerry also noted how Russia has helped to stabilize the area and helped in several situations. These reports muddy the water a bit and indicate not everything is as black and white as we are often told. Now that the smoke is settling and Russia has announced plans to cut back on its role in Syria it appears that Putin has "won" in Syria by using the 80/20 rule. He went into Syria where he propped up and saved Assad’s regime. This allowed him to attack the rebels both America and Turkey had been supporting and has created a situation now in Syria where Assad is winning the war, but has not won the war. It is clear the intervention by Russia has been a success. It looks as though Putin has masterfully orchestrated the plan that President Obama painted as a power grab and ill-conceived. 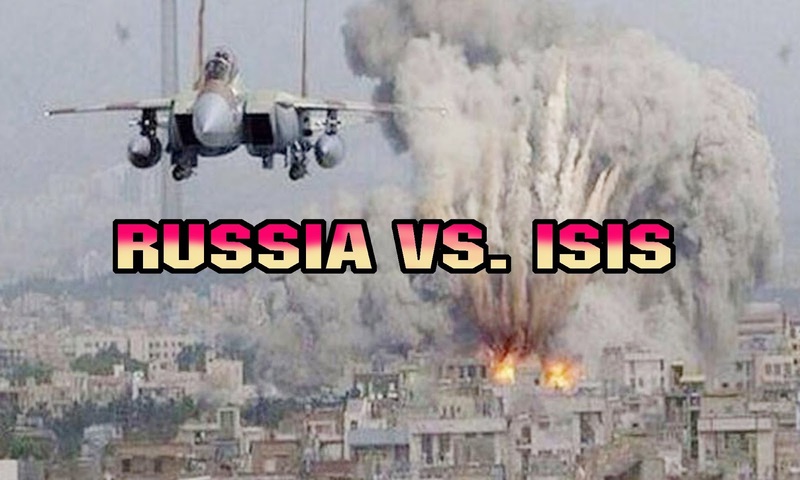 As a result of maximizing Russia's air base in the area Putin has gained prestige and he has put Russia solidly back in the Middle East power game. This is the same Russia that is led by Vladimir Putin, who has been characterized by both the media and Secretary of State, John Kerry in talking points as a "thug and a bully." The bottom-line is most likely Putin has taken a look at this and he realizes, this thing is not going to be finally resolved for a long period of time. In business, the 80-20 rule, also known as the "Pareto principle", the "principle of factor sparsity" and the "law of the vital few." It is used to help managers identify problems and determine which operating factors are most important and should receive the most attention based on an efficient use of resources. As a rule of thumb it states that 80% of outcomes can be attributed to 20% of the causes for a given event. Resources should be allocated to addressing the input factors that have the most effect on a company's final results. It is as if Putin looked at this rule and realized the first few dollars spent to correct any ill are the most effective, after that the impact of your spending diminishes rapidly, and much of it turns to waste. The return on investment necessary to achieve perfection, or get it all, may take substantially more effort and come at a tremendous cost than just reaching an acceptable level. Robert Ringer, author of Looking Out For #1 , and a man who preaches the principles of practical living, sees "perfection as the enemy of good". Yes, this means what you think it does, if someone demands perfection they often become frozen in place unable to accomplish anything, think of the artist that constantly destroys their work because they see it as flawed. The amount of effort to achieve perfection after a certain point becomes pure folly and becomes an exercise in futility. 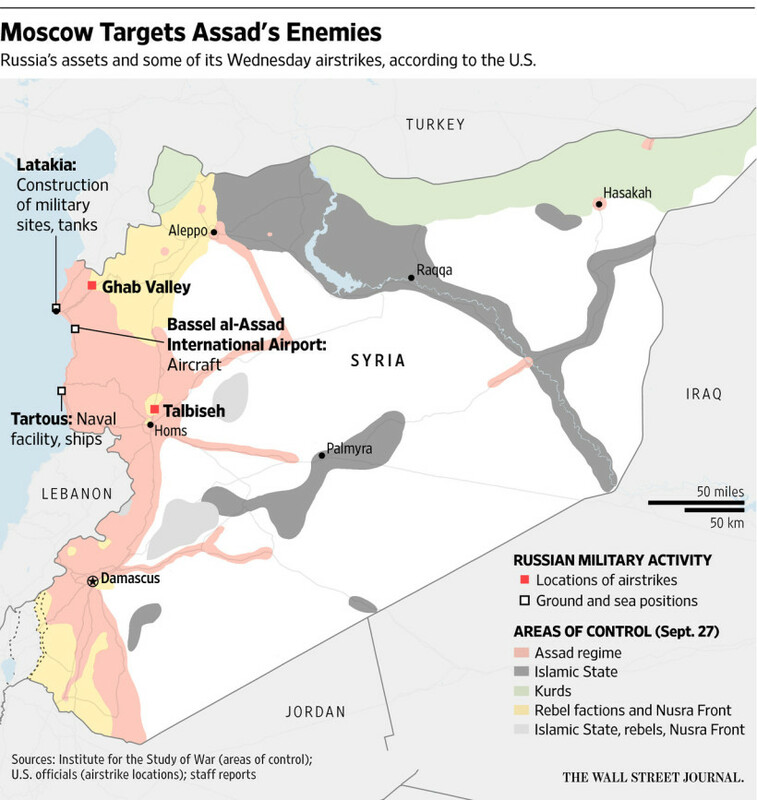 It could be said Russia won this round in Syria by playing fast and dirty. Returning to the subject of Putin, he loves surprise moves, and the fact he doubled down in Syria shocked much of the world. He accomplished several things in Syria besides keeping Assad in power. Now that he's pulling his forces out of the area out and working with the Americans he has placed himself in a position of great power to help negotiate a solution. 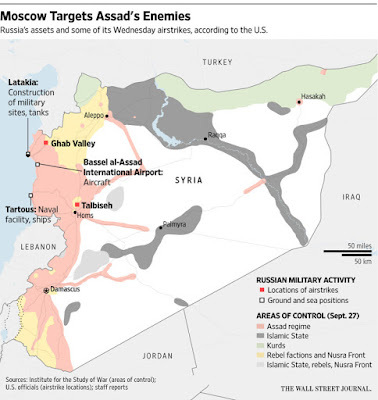 Putin not wanting to get involved in a quagmire has gotten as much of the territory back for Assad, as he possibly can in a short time using the least amount of effort he needed to expend. Putin is not writing a blank check for Assad, but instead he’s putting a lot of pressure on Assad going into the peace talks to try to make a deal. Most people agree Putin now holds a great deal of influence over the initiative at Geneva and this could also aid in getting Europeans sanctions lifted on Russia. Putin has shown a lot of wisdom, with the Ukraine situation still playing out he doesn't need to be fighting a two front war bogged down in Syria. We should remember he also faces economic woes at home from both low oil prices and sanctions, it could be said, he’s got his hands full. It remains clear this is not a full or real withdrawal, in the sense that they’re retaining some forces there. They retain the S-400 air defense system which rules out the idea of a no-fly zone in the north. To many observers of his actions it could be said that what Putin has really done is to throw out a rotten olive branch to the White House. This also extends to the Europeans giving them hope with the pretense that by putting pressure on Assad and hinting on a long term schedule he might withdraw. 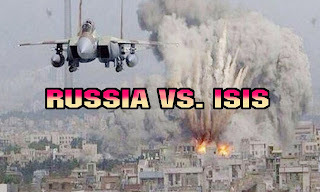 Putin's original purpose was to save the Assad regime first and foremost, to go after those trying to overthrow it, this included both the rebels we support as well as ISIS. While Putin helped to re-establish control in the western part of Syria he knows that ISIS still remains off in the east. General consensus and rumors lead us to believe that as things stand ISIS is having difficulty maintaining its salaries because of the increased pressure put upon it. Also we should note that in Syria the Kurds, as in Iraq, have carved out a federal provincial area for the new federalism in Syria, where they rule they have autonomy there. This has upset both Turkey and Assad. As this unfolded Turkey acted as NATO's proxy and even shot down a Russian jet, in the end however, they do not look like a big winner, if anything strife is tearing Turkey apart. Too many this was a bold move by Putin who decided this would expand his sphere of influence while Obama was fiddling away and pondering what to do in Syria. Putin took action and determined he could up the ante and move in. Now it is very possible that because he has assumed the initiative on this the Saudis are far more willing to engage with him. He may be able to move the Sunni Arabs into the Russian orbit specifically by increasing arm sales to them. Putin has sent out the message if you want influence with Russia in the Middle East where America doesn’t hold sway buy stuff from us. And this is good for the Russian economy. Going back to his roots with the KGB, this is hard ball old school politics. Some hope exists while the ceasefire is holding up. Still it is hard to ignore all the humanitarian violations that occurred. It was a brutal way to do it, but he got the job done for the time being. In truth even while pulling back, about half of his air force is still there as well as a number of Russian troops. By re-establishing Russia’s position as a player in the Middle East, a force at the peace table, and an equal of the United States in dealing in the Middle East he succeeded. Putin's purpose was to bolster Assad and to send a message to the White House that they can’t dislodge another leader in his region, in that sense it appears Putin accomplished.his mission. Bad People Can Muck Up Your Life! When it comes to important life skills being able to read people rates right up near the top. The ability or knack of being able to avoid those who will by merely being around you bring you down can not be underestimated. I'm not trying to sound negative, but my experience has been these people are everywhere and many of them are dressed as professionals. The attorney or lawyer who gets you involved in costly litigation, the real-estate agent who puts getting a commission before your best interest, or even the very likable but incompetent investment advisor that wants to become your new "bestie." In a book by Robert Ringer published years ago the author warned to "stay away" from these people. He then gave a slew of examples of how they will drain both your energy and complicate your very existence. Most of us have at one time or another seen a person approaching from a distance and ran to hide, this includes avoiding phone calls or any contact with those who bring us down emotionally. Unfortunately, bad people come in many forms and are often disguised in ways that make them difficult to recognize. We all have been warned of the proverbial wolf in sheep's clothing. Muck is a noun that means; dirt, rubbish, or waste matter. Synonyms include, dirt, grime, filth, mud, slime, mess, crud, and gunk. When used as a verb in an informal way such as (muck up) it can refer to mishandling a job or situation or to spoil something such as an opportunity. A British used term; to (muck out) refers to removing manure and other dirt from a horse's stable or other animal dwelling. From the definition of muck it is clearly something most of us would like to avoid or at least control in our lives. Several varieties of "bad people" exist some busy scheming, others busying themselves with wasting your time. Stripping away all the facades of society it is important to understand time-wasters fall into this category known as "bad people" or those you should avoid. If someone does not value their own time they usually are of the opinion that yours is also of little value. Another problem is the person who comes around, but never adds anything new or useful to the conversation and after they leave you often find they have taken with them a big part of your day. One type of time-waster that is often difficult to identify is the person who is relatively competent and works their way into a position where they bring everything to a halt. These people tend to making an art of looking busy and productive while accomplishing little. When a time-waster is put in charge they become a chief roadblock to progress. Big talkers that never get anything done and break promise after promise can also gunk up your life if you allow yourself to get sucked into their fantasies and plans. Politicians can fall into this sector promising change and good while in reality they are often just trying to squelch their lust for power. The world is full of these self serving public servants that once in office they quickly forget the pledges they have made. I'm most fortunate that when my bad people radar fails me and a person of questionable moral fiber or possessing ulterior motives slips by I have someone I trust that has my back. For the longest time I have been a strong believer that dealing with people of questionable character in either business or in your personal life will come back to haunt you. Life tends to be tough enough without such complications. The amount of damage, pain, and hurt one of these people can interject into your life in a rather short time is surprising. Over the long term such relationships are toxic. Footnote; A few weeks ago I published a piece concerning another important life-skill, it centered on the art of negotiating. Life is a giant negotiation where we constantly bargain with people in an effort to reach our goals. The simple truth is that for the average person learning to be an astute negotiator is the best way to increase their ability to get what they want. More on this life changing skill in the article below. 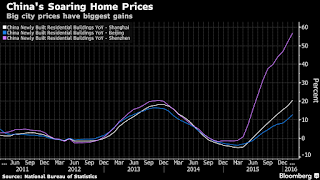 Soaring housing prices in China indicates they are "doing it again" or should at least make China watchers very suspicious of just how stable things are. This should also highlight that where wealth comes from and even more important where it is stored does matter. The housing market's role in China's economy should not be underestimated, this is where almost 75% of the country's household wealth is stored. It is important to note it is also deeply interwoven with shadow banking. Any claims that China is on a firm and solid footing is quickly brought into question by the Bloomberg chart below. The chart shows that on average new-home prices soared 21 percent in February from a year earlier. It is important to remember this is all taking place as the Chinese economy is slowing. 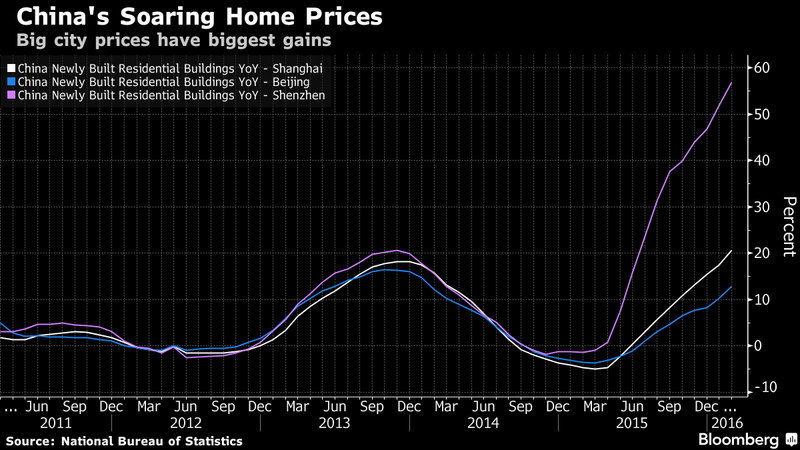 Why Are Home Prices Again Soaring In China? This is not the making of a stable economic environment. If I'm correct this could be a signal of massive instability. When this story is intertwined with stories of soaring defaults, stock market turmoil, and other pieces of news flowing out of China we could take the view that those with money trapped within the country are scrambling to find a place to stash their wealth. This all becomes part of the inflation/deflation debate and what to do when too much money is placed in the system while little or no interest is paid on savings. It also appears the masses are placing bets prices will rise even more. In response to soaring house prices in Shanghai officials have announced stricter restrictions on buyers. This is to slow the market and halt the current speculation. Now buyers will need to show they’ve been in the city for five years, and some second homes will require a huge down payments of at least 70 percent. An article in Bloomberg recently reported that speculation has reached a point where couples are even getting phony divorces so they can double their buying power and skirt the rules that restrict purchases to one per household. In a previous post I pointed out China's housing sector operates on rules, regulations, and customs that we here in America would find quite peculiar. There most apartments are sold with internal walls and electrical outlets in place but everything else, including doors, flooring, and bathroom fixtures need to be built-out by the owner after purchase. Cheap housing is something you won't find in China. Its housing market is among the most expensive in the world when compared to per capita income. For example, the average price of housing in New York City is around $200 per square foot with an average family income of $72,000 per year. By comparison, the average cost of housing in Shanghai for the year 2007 was nearly $108 a sq. ft. against an average family income of $7,316. As for what you are buying, be aware! The following U-tube video https://www.youtube.com/watch?v=KeLyr5hh9Uc shows a man banging a hole through a concrete support pillar in a apartment building in China. While we have no proof of where or how wide spread poor construction is we have had reports that it is not uncommon. China is full of “ghost cities” and new apartment buildings that sit empty. This should come as no surprise considering that China used a massive amount of cement during their construction boom from 2011 until 2013. Records indicate they used more over those few years than the U.S. used during the entire 20th century. A very troubling issue is that officials have revealed many of these homes have an expected lifespan of just 20 years. This means that many of the housing properties in China are not constructed to stand the test of time and that buying them is just like buying worthless companies during a stock market bubble. Again, I ask you to remember this is where almost 75% of China's household wealth is stored. Footnote; It should be noted we are also hearing and seeing reports of a far worse nature flowing out of Vancouver, Canada and several other areas. In the case of Vancouver much of the price spike is because of Chinese buyers. Footnote #2; As always comments are welcomed and please feel free to scan the archives for other article that may interest you. Above I mentioned an earlier post that explored the rather strange customs and how houses are sold in China, the link to that post can be found below. Raising The Minimum Wage Addresses Wrong Problem! Have A Good Day You Unemployed Human! Both New York state and California are raising the bar and again the subject of increasing the minimum wage is back solidly in the news. Like many economists, I'm strongly against raising the minimum wage because it will make America less competitive and slow job growth. Also, the solution of mandating a higher minimum wage to address growing inequality sidesteps the core issues we face and in doing so creates more problems than it addresses. In March of 2014 an article I penned titled, "The Minimum Wage Will Go, Up Right Or Wrong!" attempted to shine a little light on why this solution viewed by many as an "easy answer" will fail to address the real pain being inflicted on society as a smaller and smaller percentage of our wealth goes to those languishing on the lower rungs of the economic ladder. 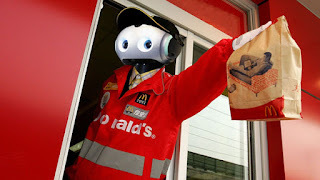 Those advocating we increase the minimum wage are often oblivious or are unaware of the unintended consequences it will usher in. We cannot circumvent economic reality, nothing is free and as wages move up we should expect prices will go in tandem We should recognize that those on fixed incomes and savers in our current super low-interest rate environment will be directly impacted by the inflation caused by these wage increases. I concede the debate is destined to continue until it is raised and hereby state without a doubt, the minimum wage will go up! Polls show a majority of Americans support a higher minimum wage, but it is my feeling the many people that believe this will put more money into the consumers pocket and thus create economic growth fail to recognize it will also spark inflation and reduce opportunity. Unfortunately, much of the impact and pain of raising the minimum wage falls upon small business, the real creator of jobs and directly upon the heads of the very workers it is intended to help. Note big business will almost certainly benefit as they can afford and will replace workers with labor-saving machines and robots. Bottom-line the people at the lower end of the pay spectrum will soon find employers are simply doing away with many of the positions they hold. Many people fail to realize that raising wages will make entry-level jobs even more scarce and in many cases causes them to be eliminated or disappear. I contend the minimum wage is more of a philological benchmark than a tool for solving issues of inequality. While the idea is considered politically popular raising it without considering the negative consequences that accompany it would be a mistake. Sadly, that is often the way Washington works. Like a tsunami, the huge crushing wall of water that washes away destroying everything in its path this force will not be stopped. This issue has been framed in a way that makes saying no difficult. Does any politician standing for re-election want to do the right thing and say "no" to "giving poor downtrodden hard working" Americans a raise? This attitude is what got us in the bind we find ourselves in today. Apparently, this trend is also still active in Europe and Britain. The reality is as long as people in other parts of the world will work for less we are shooting ourselves in the foot. An article In the BBC a while back reported how the National Minimum Wage increase was handled and the new rates implemented to benefit a million workers. The UK Business Secretary said he had accepted the recommendation from the Low Pay Commission that the minimum wage should increase by 3%. The increase is higher than the consumer prices index (CPI) rate of inflation, at 1.9%. This means UK workers will be seeing the biggest cash increase in their take-home pay since 2008. However, what I found most interesting in the article, it went on to say the rate for workers between 18 and 20 years old wages will go up by 10p to £5.13 an hour, a 2% increase and the rate for those aged 16 and 17 will rise by 7p to £3.79, also a 2% rise. 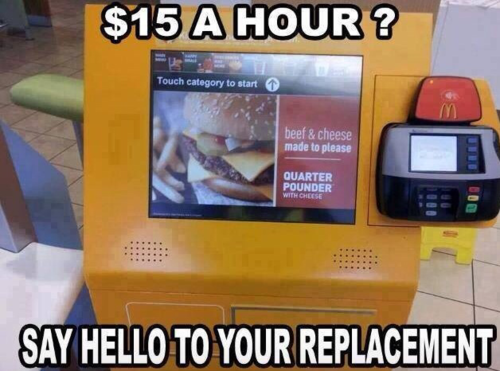 This staggered minimum wage attempts not to stop the young from ever getting their foot in the door. Even more telling of this is that apprentices will earn an extra 5p an hour, taking their wages to at least £2.73. It appears the system in the UK at least makes an effort to keep the door open to younger and less skilled workers. 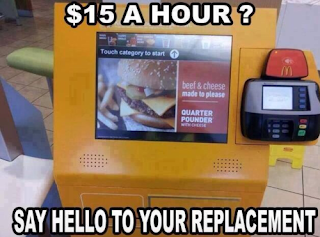 The reason this should be important to America is that with so few Americans actually paid the minimum wage this will merely move the bar to block and eliminate entry and low-level jobs. To some workers, a salary may represent what they as a person are worth, but in many ways, it reflects more on the value of our currency, what it will buy in society and whether a person should or needs to work. A major issue that many Americans and our government continue to ignore is how much the cost of living varies throughout the country. Raising wages in these high-cost areas will only exasperate the problem. It is common knowledge the cost of a house in California or along the coast is far more expensive than the same house in the Midwest, often demand in certain locations reflects a geographical preference. This should be reflected more in government social programs and they should be configured to encourage people to locate in less expensive areas rather than feed money into local economies already showing high demand. Current payouts from these programs remove the incentive for those receiving "generous" government payments to seek work in low-cost areas where it is much easier to make ends meet. In many ways, it is the government that has made it to easier to not work. While the pictures I have used depict robots taking over America's most iconic fast food restaurant none of what I have written is directed as a slam on McDonald's. 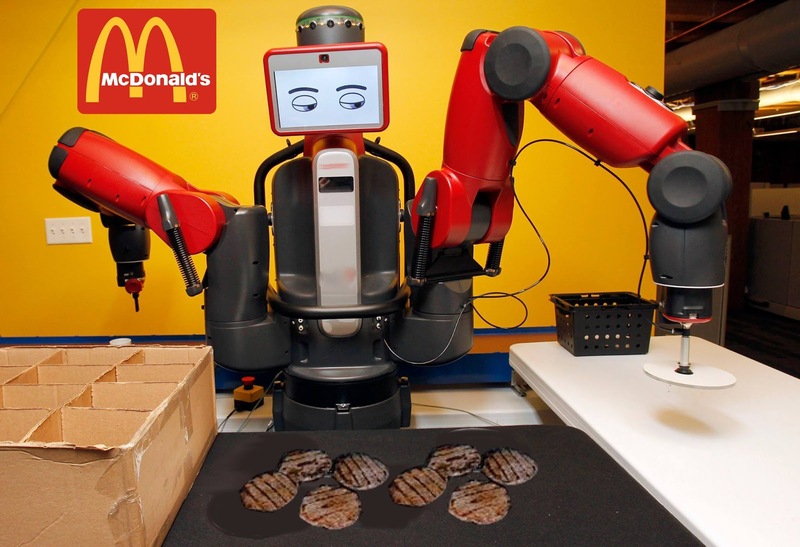 Consider this rather a glimmer of what we should soon expect throughout America and the world as robots gain new skills and become less expensive. Through its safety net of social programs and subsidies, government has done unmeasurable long-term harm to the lower ranks of society by weakening the structures that supported our shrinking middle class. Inequality is not only an issue that separates the poor from being middle class, but much of it centers on how the elite and big business have high-jacked a majority of the economic pie. The fruit of our labor now flows to very few. Raising wages on the low end may make a few people feel better but when it comes to addressing the crux of our problem it is like putting lipstick on a pig as you take the animal to the butcher. Hydrogen-powered cars are far from being accessible to customers because of the great costs involved in developing this technology, but many people see the fuel-cell path as more environmentally friendly than electric batteries. While much attention has been focused on electric cars and companies like Tesla we should not write the idea of hydrogen-powered automobiles off just yet. It may come as news to many people, but the Japanese Government is moving in the direction of reducing tailpipe emissions by building more hydrogen stations that will support the fuel-cell cars trend. 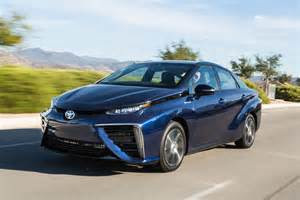 Overall Japan can be viewed is a strong believer in the hydrogen trend and is aiming to further support the expansion of such green vehicles as a way to reduce carbon dioxide emissions while and at the same time diversify energy sources. Currently, there are around 400 fuel-cell vehicles and about 80 hydrogen stations either operating or soon to operate in Japan according to a report by the Ministry of Economy, Trade, and Industry. The Japanese government has a mid-term goal of having 40,000 hydrogen-powered cars on its roads by the end of the decade and its long-term strategy has a target of 800,000 vehicles on the road by 2030. To back up such an expansion the country knows it will have to ramp up the pace at which it builds refueling stations, plans are in the works to increase the number of hydrogen stations to 160 by the time the fiscal year ends in March 2021 and to double them again in the following five years. Among the automakers which are trying to bring this technology closer to customers, Honda, Toyota and Hyundai are leading the efforts in fuel-cell development. Honda recently announced the start of sales in Japan for its new 750 km range Clarity Fuel Cell which has an entry price tag of $67,445 and has a goal to sell around 200 units this year. They expect these vehicles will be mainly leased to businesses and local governments. Honda is also in talks with General Motors over how to manufacture and procure parts for hydrogen fuel cell stacks as part of their technology development partnership. It should be noted all major car manufacturers are hard at work looking into this technology. In the end, fuel cell cars may well derail Tesla's vision of a world where its battery-powered vehicles fill our roadways. Currently, it is lithium-ion battery technology that powers Tesla’s electric vehicles. It could be argued that Tesla could do a "switch-a-roo" and simply change out its power source from battery power to fuel cells, they are investing billions in batteries that may soon fall from grace. While not getting the attention Tesla has garnered it should be noted that most automakers have placed fuel cell electric vehicles with customers, and many plan to introduce a Fuel Cell Electric Vehicle better known as a FCEV to the early commercial market over the next year or so. By 2020, automakers expect to place tens of thousands of fuel cell electric vehicles in the hands of California consumers. To clarify, a hydrogen fuel cell electric vehicle powered by a group of individual fuel cells, known as a fuel cell stack is still an electric vehicle. The stack is designed to contain enough cells to provide the necessary power for the automotive application. A fuel cell stack produces power as long as fuel is available, similar to a combustion engine. The electricity generated by the fuel cell stack powers the electric motor that propels the vehicle. Fuel cells are different from batteries in that they require a continuous source of fuel and oxygen or air to sustain the chemical reaction, whereas in a battery the chemicals present in the battery react with each other to generate an electromotive force. Fuel cells can produce electricity continuously for as long as these inputs are supplied. Adoption of the fuel cell as the most desirable way to power not only vehicles but other power hungry devices would be a big setback for Tesla because the company has invested a huge five billion dollars in a new battery factory. The company has placed a big bet on a lithium-ion battery cell “Gigafactory” taking shape just outside Reno, Nevada. The building’s current footprint is 800,000 square feet and rapidly growing, in the end, it will be much larger. Tesla hopes to be producing 500,000 electric cars per year by 2020 powered with batteries from this plant and is largely relying on the economies of scale offered by this huge factory to sell cars at the lower prices that can generate those sales volumes. If fuel cells rule the day this would spell big problems for Tesla. Unlike batteries, fuel cells have no "memory effect" when they are getting refuelled.